American Pilgrims on the Camino, 2017 Annual Gathering of Pilgrims. Panelist for break-out session. American Pilgrims on the Camino, 2016 Annual Gathering of Pilgrims. Book reading. American Pilgrims on the Camino, 2015 Annual Gathering of Pilgrims. Book reading. 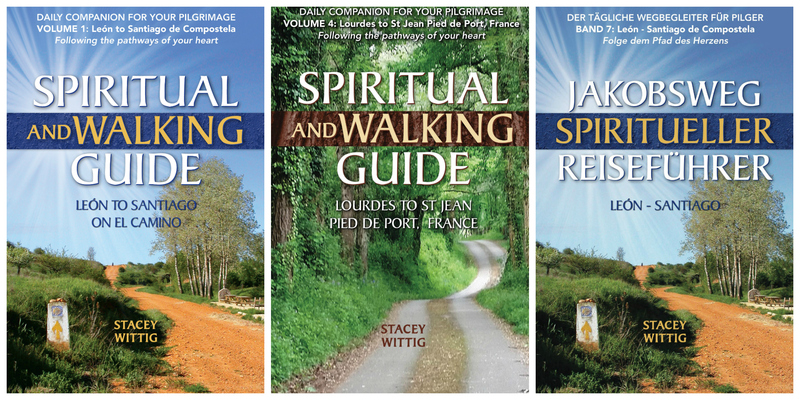 Day 14 of the Spiritual and Walking Guide entitled, “Walking in the Good Way” included in “La Concha” newsletter of the American Pilgrims on Camino association. Viewed by hundreds of Camino pilgrims. Pilgrims Meeting on the third Saturday of every month, 9:00 am at The Field Coffee Shop for brief monthly meeting and a time to share all things Camino, help future pilgrims and plan future events. Some months the group meets and may then leave for a hike. This is a no-host coffee and the group asks that you RSVP by the 5th of each month to NorthernArizonaChapter@americanpilgrims.com. Wittig read from her book at The American Pilgrims on the Camino (APOC) annual gathering near St. Louis, Missouri. The except was read at a 5×5 Open Mike where pilgrims had five minutes to share favorite Camino stories. Book reading, American Pilgrims on Camino – Northern Arizona Chapter, Flagstaff, Arizona.